Rowlinson Workshop Range: The Rowlinson Workshop Range is available in 5 sizes giving plenty of scope to choose the perfect workshop for you and your garden. Throughout the whole range the Rowlinson Workshop has double doors which are secured with a lock and key, sturdy timber for a high quality structure and styrene windows providing plenty of natural light while you are working. 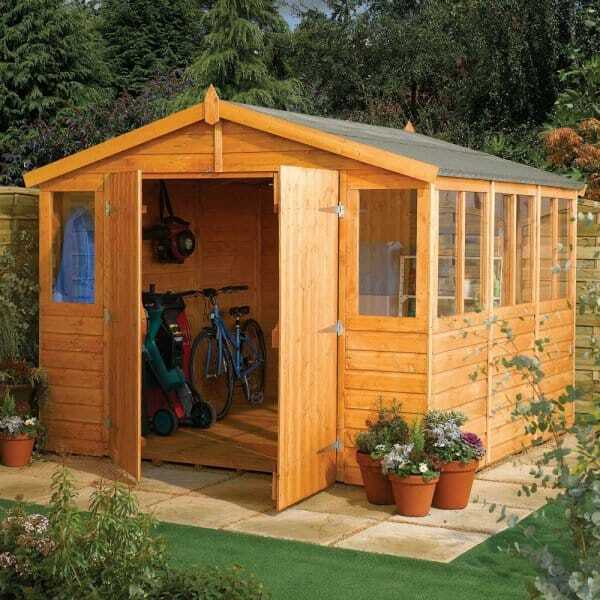 A building from Simply Log Cabins ideal for the keen DIY-er or gardener. NB: Image Shows 9ft x 9ft Model.